As a certified nursing assistant (CNA), you would be responsible for the daily, hands-on care for the residents in long-term care settings. Duties include assisting residents with bathing, dressing, meals, and personal hygiene. CNAs are essential to helping patients recover and maintain wellness. They have the most contact with patients and are critical conduits of communication with the patient care team. Nursing assistant programs are the key to an entry-level position in acute and long-term care settings as well as home health care. The training provides a solid foundation in the area of patient care. The continuous need for CNAs over the past decade is well documented. According to the Bureau of Labor Statistics, the need for CNAs will continue to rise in the coming years. 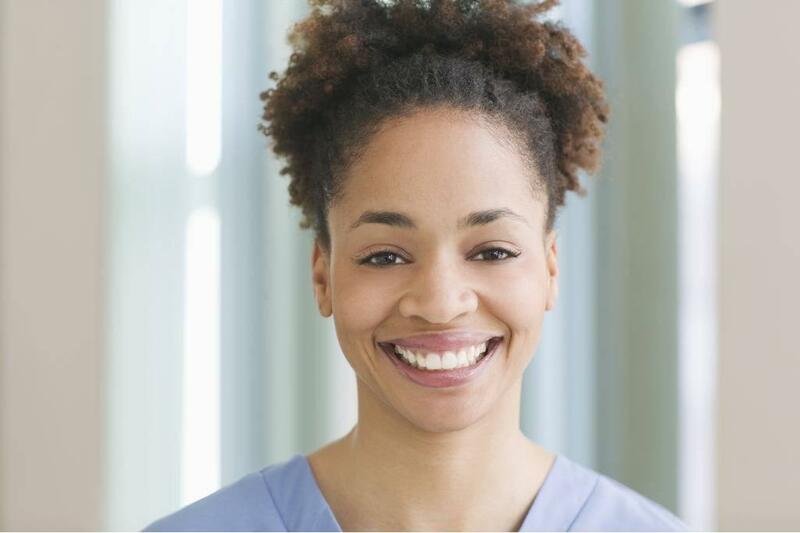 Enrolling in a nursing assistant program and taking the state competency exam to obtain state certification will help you to start working in a health care path that is integral, rewarding, and expected to have unprecedented growth over the next decade. Avera Prince of Peace facilitates nurse aide training as a hybrid online program. The curriculum is divided into units that will help students acquire the knowledge and skills needed to provide direct care patients in hospitals, nursing homes, long-term care facilities, and home health. The first unit helps students develop communication and interpersonal skills to interact with residents while the second unit emphasizes the development of clinical skills. Unit three focuses on those soft skills that enhance resident satisfaction and NA integration into the health care team. Continuous assessments measure students’ progress, and skills demonstrations reinforce key steps that are essential for success on the Nurse Aide Competency exam. The combined didactic and clinical instruction meet all federal and South Dakota state requirements. The clinical practicum is 16 hours in accordance with federal and state requirements. Graduates are eligible to take the competency exam for state certification. Interim HealthCare offers prospective CNA employees flexibility, competitive compensation, and comprehensive training to care for seniors and disabled persons in a variety of health care settings. Job opportunities include home health and private duty with flexible schedules to meet individual needs. Persons interested in the enrolling in the CNA classes should check with Interim for program availability as they’re facilitated on an as needed basis. Individuals seeking employment in Interim’s network are given first priority. The combination classroom and clinical instruction include 16-plus hours of hands-on care in a supervised clinical setting where students put their learned skills into practice. Registered nurse instructors cover a broad range of subjects including infection control, measuring vital signs, emergency procedures, feeding and nutrition and personal care. Graduates are eligible to apply for the nurse aide competency exam for certification as CNAs. The nursing assistant program at Good Samaritan is targeted to individuals seeking an entry-level position in the healthcare industry. Through a combination of classroom and hands-on training, students will acquire the skills needed to start a career as a CNA with The Evangelical Lutheran Good Samaritan Society. In the classroom, students learn patients’ rights, law and ethics, interpersonal communication, CPR, safety and emergency, feeding and nutrition, vital signs, observation and reporting, patient transfers, infection control, anatomy and physiology, pharmacology, and medical terminology. Call the Good Samaritan Society to learn more about available schedules. The CNA program at Southeast Technical Institute prepares students for an entry-level position in a rewarding and challenging industry. The curriculum covers the skills students need to function as an integral member of the healthcare team but also helps them manage patients’ emotional needs. The curriculum includes lectures and hands-on instruction in the lab (60 hours) in addition to a 16-hour clinical at a skilled nursing facility. The emphasis of the program is caring for persons in long-term care facilities. Applicants must be 16 years or older with no criminal convictions. A TB test and documentation of immunization are necessary for participating in the clinical component of the program. Upon successful completion of this program, graduates will be eligible to take the certification exam available at STI. The schedule for certification testing is Tuesday evenings and Saturday (during the day). Sanford Health, in partnership with North Dakota State College of Science, provides certified nursing assistant training to potential employees. Individuals seeking full-time employment at Sanford should submit an application for training. The training is approved by the State Department of Health and consists of 75 hours of training, which includes 16 hours of supervised patient care in a clinical setting. Graduates are eligible to take the state competency exam and begin working in rehabilitation and transitional care at Sanford Health. The nursing assistant training at the Sioux Falls CTE equips high school students with the knowledge and confidence to excel as entry-level CNAs. Experienced course instructors use classroom lectures, skills demonstration in the lab, and supervised clinical experiences in long-term care facilities to impart knowledge in the areas of measuring vital signs, patients’ rights, infection control, medical terminology, feeding and nutrition, anatomy and physiology, personal care, and emergency procedures. Job placement assistance is available to all graduates. North American University’s state-approved nurse assistant training is 75-hours of classroom and clinical instruction. Students must commit to 100 percent attendance with no missed classes. Tardiness will also affect students’ ability to graduate as the state requires completion of the required 75 hours. Instructors facilitate 59 hours of instruction in the classroom followed by 16 hours of supervised patient care in a clinical setting. Applicants must be 17 years or older with a state ID. A criminal background check, TB clearance, a physical exam, drug test, and required immunization are also necessary for enrollment.